Browse: Home /	Community Gardens, Food, URBAN FARM & GARDEN / Garden Update: August! 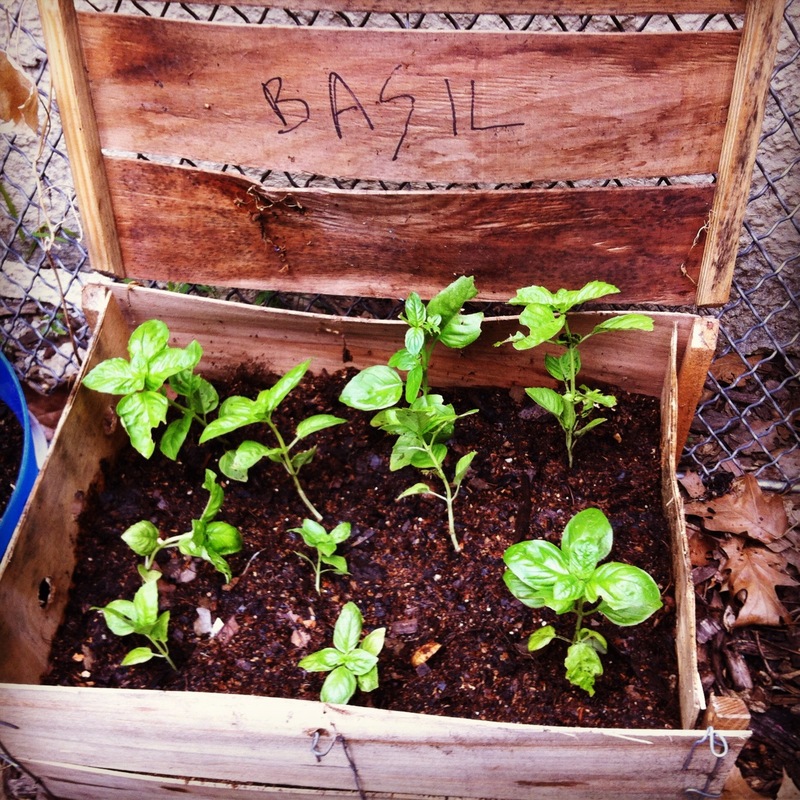 At our regular garden open workdays this summer (Wednesdays and Saturdays) we’ve transformed our little plot into a thriving container garden of vegetables and a raised bed culinary herb garden. Further plans are in the works to bring more containers, raised beds, vertical walls, trellises, and the installation of a proper rainwater harvesting system. Our goal is to demonstrate how many different crops we can grow in a small space — the challenge of most urban farmers! This season we have been able to contribute some of what we grow to the Flatbush Reformed Church’s Bread for the Journey meal program. The kitchen has used our culinary herbs — basil, thyme, oregano, sage, lemon verbena and mint. Soon we hope to be harvesting sweet peppers, cherry tomatoes, kale and chard for use in our own August 18th Community Meal, which is free and open to all. And don’t forget we also have our native plant streetscape! 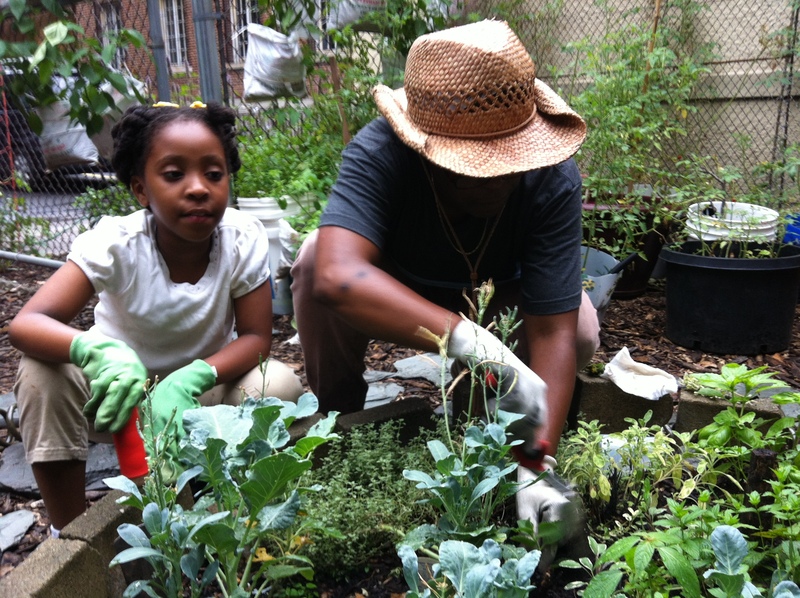 Join our resident expert Chris Kreussling (aka Flatbush Gardener) to learn more about native plants, pollinators…and weeds, as we work on upkeep for those garden beds. We have a lot of great activities planned for our Special Garden Workday. There will be something for everyone to do. And we’ll be joined by volunteers from New York Cares, TimeBanksNYC, and Brooklyn Community Foundation’s volunteer initiative Do Good Right Here. So come out for a day of community gardening! Dress comfortably. Bring family, friends, and kids too. We’ll provide the tools and iced tea (made with mint from our garden). Remember, everyone is invited to join us for regular garden open hours each Saturday from 9:30am to 12:30pm and Wednesdays from 4:30 to 6:30 pm, when we take turns watering the beds and planters. If you’d like to join our team, contact Sheryll (at) sustainableflatbush.org to learn more.